Ecommerce design for Bigcommerce, Shopify, Magento and eBay. Experts In EcommerceDesign, Development, & Marketing. Check out our most recent project for Jildor Shoes, one of the nation’s leading retailers in women's shoes for over 69 years. Diztinct works on some of the most popular, and fastest growing ecommerce platforms and marketplaces. Diztinct is a Certified Design Partner for Bigcommerce. You’ll get a custom design that is professional, responsive, and takes advantage of all the features that the Bigcommerce platform has to offer. 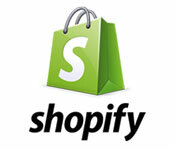 As a Design Partner with Shopify, Diztinct has a vast knowledge of the Shopify platform and features. We can provide you with superior design, custom development and savvy marketing services to help propel your online sales. 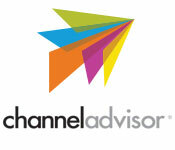 Diztinct was one of the first design partners with ChannelAdvisor and has over 12 years of experience working on the platofrm. We offer design services for many of the marketplaces that ChannelAdvisor connects to. 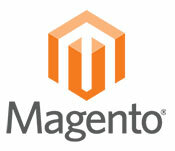 Magento is an open-source ecommerce platform. Diztinct can design feature-rich, fully custom online stores on Magento. Our team can help you take your Magento site to the next level. 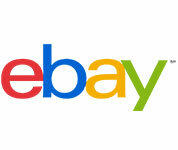 Whether you are a new seller looking to create a brand for your eBay business, or you are an established eBay seller looking to enhance your look and layout, we can help. We have worked with sellers of all sizes. Diztinct can help you build your brand on Amazon. 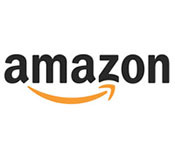 We design custom Amazon Storefronts that incorporate your logo, color scheme and promo banners into your Amazon account. Diztinct is one of only a handful of design companies that has been officially certified by Bigcommerce. With years of experience working on the Bigcommerce platform, we are fully qualified to design and develop custom and responsive ecommerce sites on Bigcommerce. Diztinct sees each client as a partner, not just another project. Take a moment to find out what makes us unique and see if we are the right partner for you. Diztinct has over 12 years of experience building ecommerce stores. Our vast knowledge of the online selling landscape allows us to create exemplary websites from the inside out. We believe that communication and quality are essential to the success of any project. That is why we produce all work in our New Jersey office and no work is outsourced. Over the years Diztinct’s custom design work has been recognized by ecommerce experts, eBay and others as some of the best in the industry. Our work has been nominated for and won awards. The success of your website is extremely important to us. We view ourselves as your long-term partner who can help in many ways long after the site has been launched. We pay attention to every aspect of building your website. Not only do our sites look good, but they are coded to be clean, efficient and fully responsive and mobile friendly. We make sure that you are completely satisfied with the finished product. Our high quality of design and development work ensure that you are getting the best for your online store. "Diztinct promised a lot up front and and they delivered 100%. We had a very strict budget, timeline, and requirements on the project. I will definitely recommend Diztinct." "Working with Diztinct has been great for our business. Their personal approach, professionalism and quality work helped us create the website we needed to grow our business." Diztinct has had the privilege of working with some amazing companies over the past 12 years. We have designed and built online stores for companies of all sizes. Copyright © 2004-2017, Diztinct, Inc. All Rights Reserved.